Read our 2014–2017 ministry summary, published August 2018. Read our Celebrating 2013 post. Read our November 2011 ministry summary. 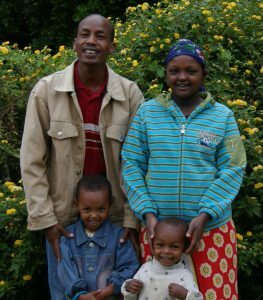 We came to Kenya as part of the CMF-Maasai church planting team in 2007. 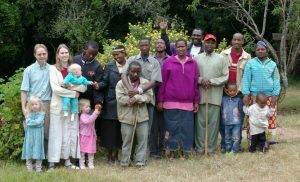 Several years ago, our team’s ministry grew beyond just the Maasai. A Samburu believer attended our DTS (see below) and returned home to plant churches among his people. In tribally mixed areas (towns and border regions), our churches (known as CCC congregations, or “Community Christian Church”) now have tribally mixed congregations. In 2013 our team began the process of merging with CMF’s Turkana church planting team, because together we were now serving a single, multi-ethnic national church. We are no long affiliated with CMF, but at the insistance and repeated invitation of CCC leaders, we are continuing our long and fruitful partnership with the CCC. This project was a collaborative effort between us and the Community Christian Church, and the copies of the books are now in the hands of the church leaders. 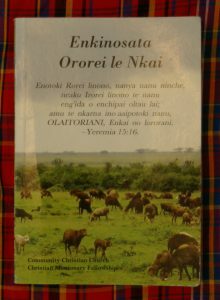 In June 2010, other missionaries took copies of the “Enkinosata” lessons to consider using them among the Maasai of Tanzania and also among the Samburu of Kenya. (Maasai land is artificially divided between southern Kenya and northern Tanzania, a result of colonialism. The Samburu are a related tribe of the Maasai, in central Kenya. Linguists consider the Samburu language to be a dialect of Maa — there is about a 70% overlap — although the differences are great enough to warrant the current efforts of Wycliff Bible Translators toward a Samburu Bible translation.) In 2015 we completed and published a kiSwahili translation/adaptation for publication for use in our tribally mixed churches. The Turkana version followed in 2017. Joshua has learned to edit in three non-English languages. In 2018, missionaries to the Tonga in Zambia requested (and received) permission to translate and adapt this curriculum for use in the Tonga churches. Various other curriculum projects are underway for the Maa and Nga Turkana languages. Ruth is writing a new children’s curriculum, and training at the same time our co-workers in this project: Jackson La Sang’urukuri (Samburu), Elijah Moloi Nkurma (Maasai), and Harrison Kyalo (Kamba). We place a strong priority on biblical and missions training. In our work in Kenya, much of this training takes place through what are usually known as “Bible Training Institutes.” Previously, Narok Bible Training Institute (NBTI) served the Maasai (based at our Ewaso Ng’iro training center, about 45 minutes outside of Narok town) while the Turkana received training at Turkana Bible Training Institute (TBTI; in Lodwar). For a while, the whole CCC was served by Mission Institute East Africa (MIEA) across tribal lines. 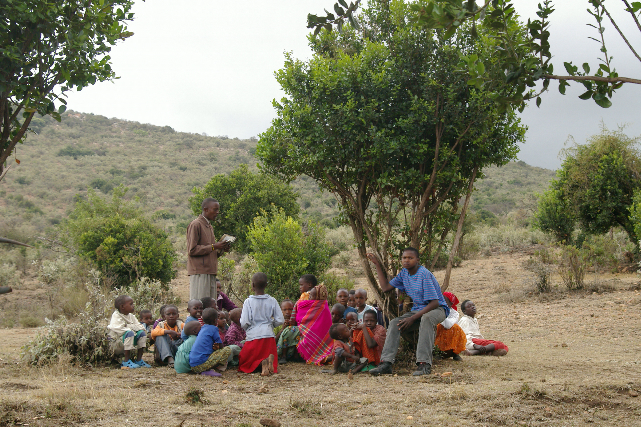 MIEA had replaced two older schools among the Maasai: Narok Bible Bible Training Institute (NBTI, in Ewaso Ng’iro, about 45 minutes outside of Narok) and Kajiado Bible Training Institute (at our training center in Ng’atataek, about an hour south of Kajiado town). From 2007-2010, we were most involved at NBTI. From 2010 until its untimely death, Joshua had been one of the teachers of MIEA, developing two courses for the curriculum. Currently, this type of training is going on primarily through CCBTI and DTI (see below for both), one-on-one mentoring, and various seminars. 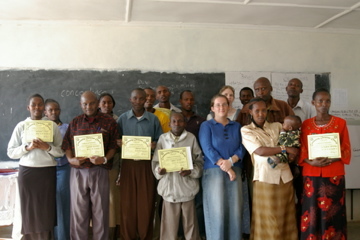 Started by the CMF-Maasai team in 2003, NBTI’s central goal was to train Christian leaders with a burden to serve Christ. James Sinkua served as Principal, but this was still a missionary, rather than a CCC, ministry. In 2007-2008, John Sosio became the new Principal and CMF helped NBTI to establish a Kenyan Board of Directors that met twice a year to review budget, set policy, and discuss major issues of the Institute. Our desire was for this to be a CCC ministry supported by missionaries. Classes met for 3 weeks at a time in January, April, July, and October. Teaching was offered at 3 levels — Basic (courses in the Maa language), Advanced (courses in English) and Audit. Joshua served as a board member and a teacher for NBTI. (There is a picture of Joshua with the students from his 2008 “Spiritual Disciplines” course on the About the Barrons page.) In November 2010, the NBTI board adopted the new MIEA curriculum. In March 2011, it seemed to the NBTI board that NBTI was already dead due to a lack of support from the CCC churches, and there seemed to be growing support for the vision of MIEA, and so the board voted to dissolve the school and transfer its assets and heritage to MIEA. Joshua became one of the instructors for TBTI starting in 2011. So far, he has taught “Church History,” “Missions & Evangelism,” and “Eating the Word of God” for the school, as well as providing training seminars for the Turkana teachers. 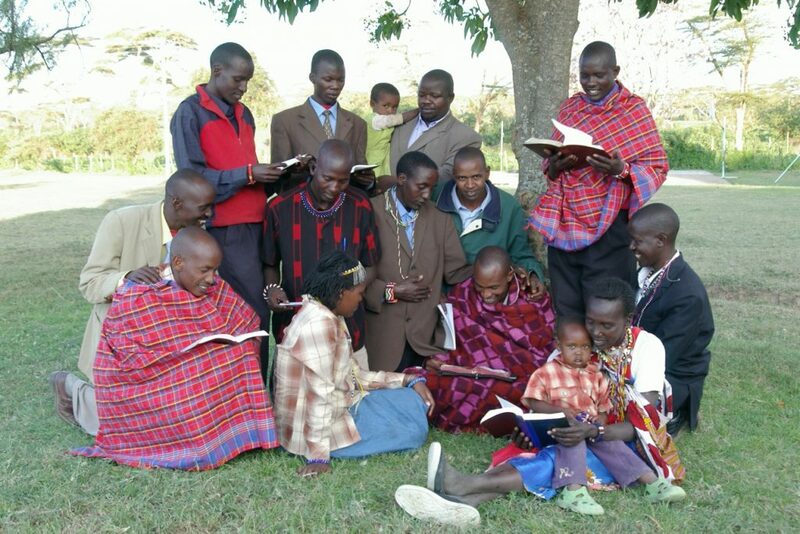 MIEA was founded by a former teammate, working together with key Maasai church leaders, in response to the changing needs of our maturing pastors and elders. Thus Joshua was appointed the chair of what eventually became the CCBTI steering committee (two representatives from the TBTI steering committee have played a large role in this effort thus far). CCC church leaders agreed upon a unified curriculum for all of the BTIs of the CCC in 2013. Then the steering committee of the CCC training center in Kajiado County approached the CCBTI committee and asked for our help in re-establishing KBTI (Kajiado Bible Training Institute). Classes were initially scheduled to begin in January 2015, but the drought in 2014–215 was severe enough that this was delayed. In 2015, Joshua taught two courses, “Church History” and “Christian Stewardship & Congregational Finances,” for the TBTI branch of CCBTI. In 2016, after years of laying the groundwork we celebrated the opening of two new CCBTI branches in Maasai land — one in Ewaso Ng’iro and one in Ng’atataek. Joshua has taught “Church History” and “Christian Stewardship & Congregational Finances” to the inaugural cohorts at each branch, team-teaching the Stewardship course with Walter Mwambushi (a Luo and an elder in the CCC congregation in Narok). In 2018 while we were in America, “Church History” and “Christian Stewardship & Congregational Finances” were taught by Ntinga Sam Tome, the Maasai administrator of the two Maasai branches of CCBTI, whom Joshua has trained. November and December 2018 also saw the first CCBTI graduations in Maasai land! “As you go,” Jesus commands his followers, “make disciples.” Note that it doesn’t say “make proselytes” or “teach people to pray the so-called sinners’ prayer” or “baptize people and then you’re done”! All who call themselves “christian” are commanded to “make disciples.” We pray that we will not be guilty of merely making disciples of ourselves, of our American sending churches, or of any missions agency (see Matthew 23.15 for a warning about this!). Instead, we long to make disciples of Jesus. “All authority on heaven and earth is given to me,” Jesus says, “therefore, as you go, MAKE DISCIPLES of all nations, BAPTIZING them and TEACHING them to OBEY ALL I HAVE COMMANDED YOU. And surely I will be with you, even to the very end of the age.” With such a mandate, we maintain a commitment to make disciple-making disciples and to continue to equip Kenyans to plant church-planting churches. The DTS campus was formerly located in Tiamanang’en in Olorte in the Loita Hills, deep in the forests of Maasai Land. (Visit our google map for the location.) For a variety of reasons, the DTS did not meet between 2009-2012. In 2012, Joshua & Francis formed a steering committee to revive the DTS. In 2014, after much work and many delays, the DTS resumed its ministry in February 2014 (the graduation was held May 18th). In addition to the new base in Olepishet, Francis, Moses Mashipei (the DTI Assistant Director, a DTS graduate under Francis whom Joshua recruited for the DTS leadership team), and Joshua developed plans to have a “mobile” DTS to help serve our churches in Trans-Mara (meeting at the CCC training Center in Kawai) and Kajiado (meeting in Ng’atataek). We have also discussed together the possibility of taking the DTS up to Turkana. In 2016 the DTI session was held in Kawai. Our family spent a week in May with the DTI, far from any paved road. We spent another week with them in June, prior to the graduation. We hope to be able to return to two sessions each year, with one session held at the DTI base in Olepishet and the other being a mobile DTI serving other areas. Adult literacy continues to be a much requested program by local Maasai, with many trained teachers trained ready to teach when resources are available. The literacy program had been overseen by Jackson Meing’ati, who did an excellent job. For several years Joshua exercised financial oversight for this program. 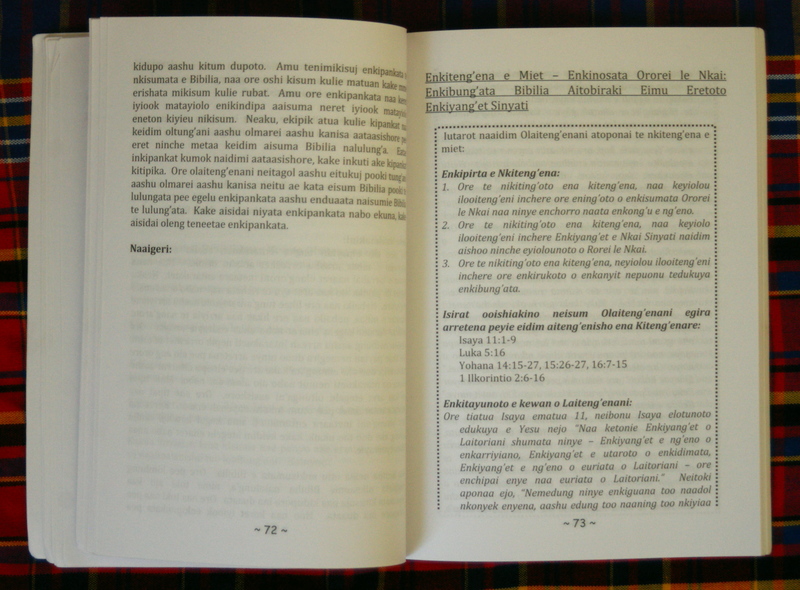 The current Maa Bible translation was prepared from English translations of the Bible without reference to the Biblical languages. And although under the circumstances the translators did a remarkable job, and the translation has certainly been used by the Holy Spirit, there are sections of the translations that can not be understood by Maasai who only speak Maa. There are also some significant errors and omissions. Joshua has been serving the Bible Society of Kenya’s revision committee for the Maa translation from 2010 through 2017, combining his knowledge of Maasai language and culture with his knowledge of the biblical languages and cultures. The new revision was published in early 2018.